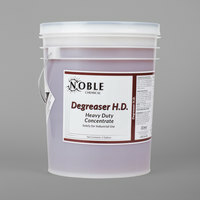 This Noble Chemical heavy duty degreaser will keep your kitchen equipment running smoothly. Cooking equipment can gather a buildup of fat, grease, and food particles pretty quickly, which can alter the taste of your food and prevent your equipment from working correctly. 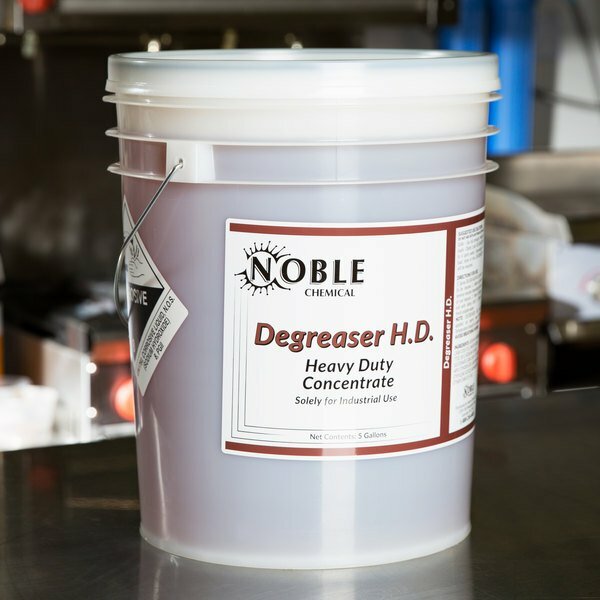 To get rid of this buildup and keep your oven, fryer, range, hood, and other equipment and supplies working correctly, look no further than this Noble Chemical heavy duty degreaser. 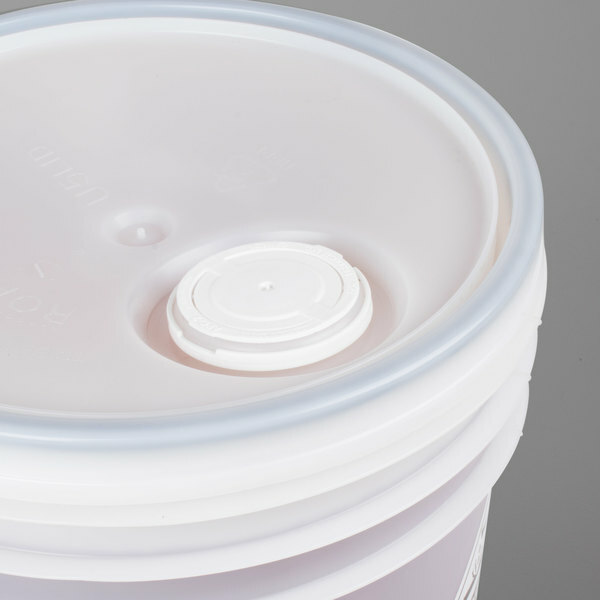 Because it’s packaged in 5 gallon containers, this one container will be enough to clean your entire facility without having to reorder as often. "What a value, you cannot beat this price for such a good product. Most people have never heard of the brand Noble, but they really make some great products and this is one of them. This is my GO-TO degreaser for fighting tough grease in the kitchen. It really is a heavy duty product." To use this heavy duty degreaser, spray or mop the product onto the surface that is to be cleaned. Allow cleaner to remain on the surface for a few seconds before wiping off with a damp cloth and rinsing to reveal a sparkling, residue-free surface! 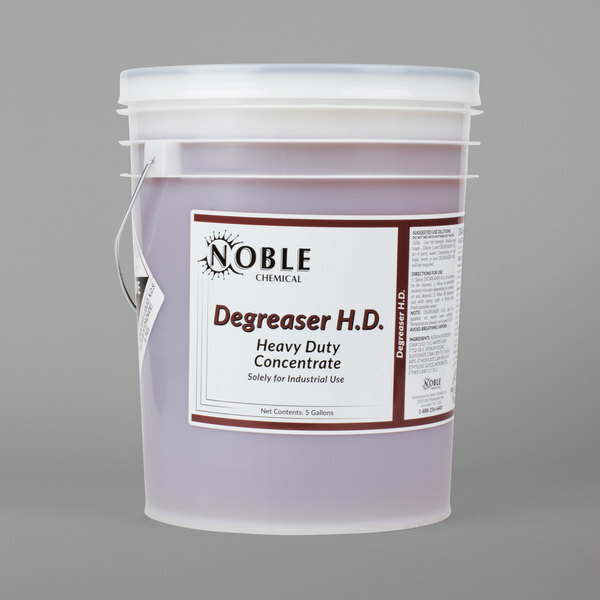 To ensure you always have enough product to keep your kitchen clean, Noble Chemical heavy duty degreaser is sold in large 5 gallon containers. 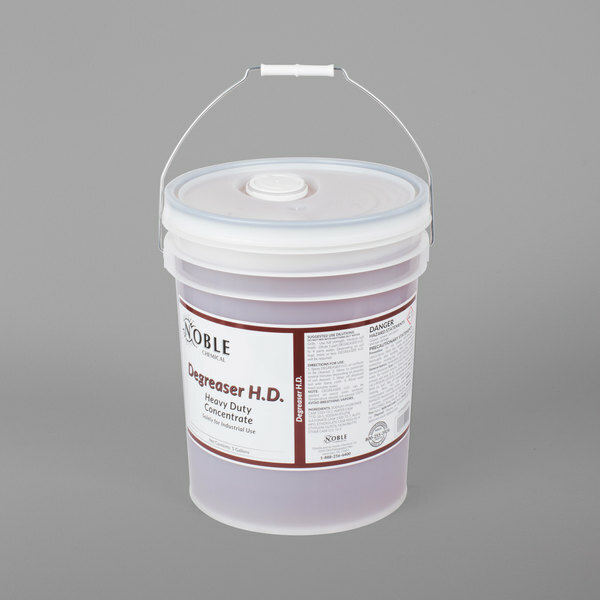 This large container has a small cap, so you can easily dispense this Noble Chemical heavy duty degreaser without struggling with the large lid. 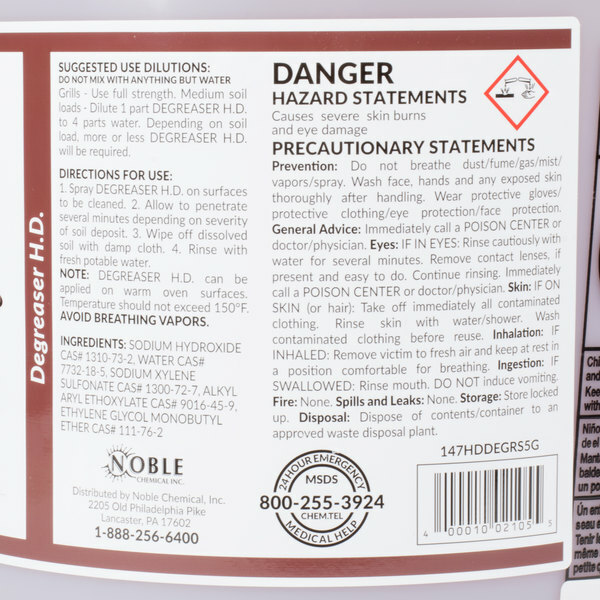 Noble Chemical brand supplies are a smart addition to any restaurant, hotel, or healthcare facility, and this powerful degreaser will help to keep your cooking equipment and food preparation surfaces spotless. Be sure to check out our quantity discounts for even better wholesale savings! Can this product be used to clean floors? This product has a very high pH and should only be used on industrial floors such as concrete. If using to clean concrete floors, dilute product at a ratio of 1:20. This product is considered hazardous under US DOT shipping regulations. Love that they have the model number so it's easy to know what you are getting. 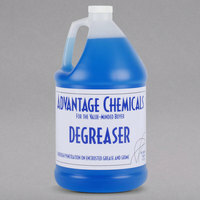 Good quality degrease for the kitchen. What a value, you cannot beat this price for such a good product. Most people have never heard of the brand Noble, but they really make some great products and this is one of them. This is my GO-TO degreaser for fighting tough grease in the kitchen. It really is a heavy duty product. This product is great for powering through really tough greasy equipment. Sometimes you just can't get that caked on grease off the back of the fryer. Well this stuff does the trick!